You’ve reviewed dozens of résumés, sorted out the best applications and invited a handful of qualified candidates for an interview. Now what? Do you hire the person wearing orange? The one that wants a cup of coffee? Or the one with the strongest handshake? 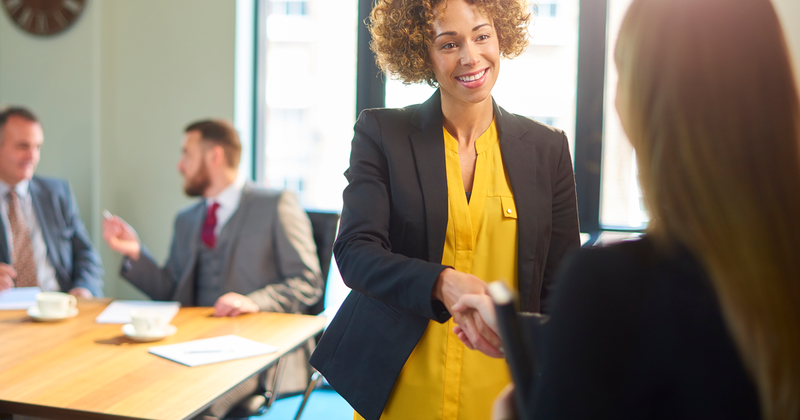 These seem like inane questions, but no matter how objective hiring managers try to be, there are plenty of subjective factors that affect hiring decisions. Jacquelyn Smith and Shana Lebowitz offer an insightful list in their article 28 Surprising Things that Affect Whether You Get Hired. The key to balancing objectivity and subjectivity during an interview is asking the right questions. It’s not always clear, however, what those questions should be. We’ve all heard the rumors about the wild questions Google and other innovative companies ask their applicants: Why are manhole covers round? How could you weigh an airplane without using a scale? And we all know the traditional ones: What are your strength and weaknesses? How would your best friend describe you? Are these the right questions? Depending on what you’re looking for, they might be. In her book, High-Impact Interview Questions, Victoria A. Hoevemeyer asserts that an interviewer should always ask questions that will help predict job performance. Think about your company’s direction and how the job you’ve listed fits into the picture. Then consider the competencies that a candidate needs to succeed in that position. Once you have a list, create questions directly related to those competencies. “Do not ask any questions that are not completely job-related,” Hoevemeyers says. This begs the question, is having the right set of job-related skills really all that matters? For David Snyder, author of How to Hire a Champion, the answer is a resounding no. There’s more to hiring than assessing skills and employment history; you have to learn about the person’s character, motivation and tenacity. “The building blocks of integrity and professional excellence can actually be broken down into four factors: character, functional competence, commitment and vision,” says Snyder. In other words, don’t just hire whoever looks best on paper, figure out who has the whole package. Don’t be afraid to ask questions the reveal the candidate’s character. And you need great people to have a great company.